Gear heads don’t often think of the 1970s as fondly as they do of the 1960s and that’s a shame because this is a decade that brought us some great cars. We’ve picked out the best sports cars of the 70s to remind you that the decade that fashion forgot, wasn’t devoid of great cars. This is a car that people tend to attach to the 1980s because like that decade, this is an excessive car. When the first Countachs were released in 1974, the car was a wedge that looked pretty sleek. It had none of the appendages that defined it a decade later. The LP400 model had a 375hp V-12 and was probably underpowered even for the day. This one lacked the spoilers, splitters and wings that really detracted from the car’s looks. This is a car of the 1970s that stayed there as it was only available for a limited time between 1974 and 1976. It was built to compete in rallying where it did rather well for the Italian car maker. The perfect wedge-shape helped Lancia to three manufacturer’s crowns in the World Rally Championship. 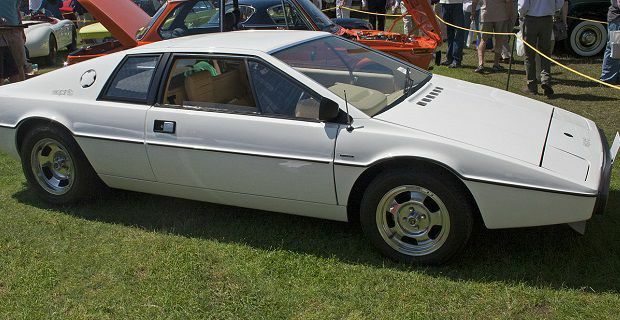 In 1975 the only wedge-shaped super car worth looking at was the Countach, but a year later when the Lotus Esprit arrived, the stakes were upped. This car was British engineering mixed with Italian styling so no wonder it did so well for so long. Lightweight, agile and the car of choice for James Bond, the Lotus quickly established itself as one of the best sports cars of the 1970s. The De Tomaso Pantera was another car that took the looks of an Italian sports car but came from another country. Surprisingly for such a sleek and sophisticated car, it came from America where muscle cars rather than sports car ruled the roost. With a Ford V-8, this was a muscle car that provided the grunt of a Lamborghini but a far less cost.